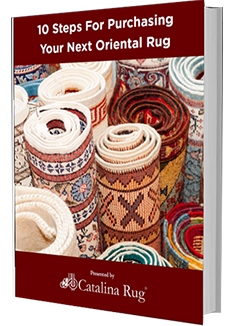 Deciding to decorate with Oriental rugs is easy. These floor coverings are so beautiful they enhance the look of any room that they are put in. However, the key lies in choosing the right rug for your space. This is where many questions often arise. With rugs available in a wide array of shapes and sizes how do you choose which one is the best one for the purpose? To make it easy for you, we’ve put together some of the questions we get asked most frequently with regards to decorating with rugs. 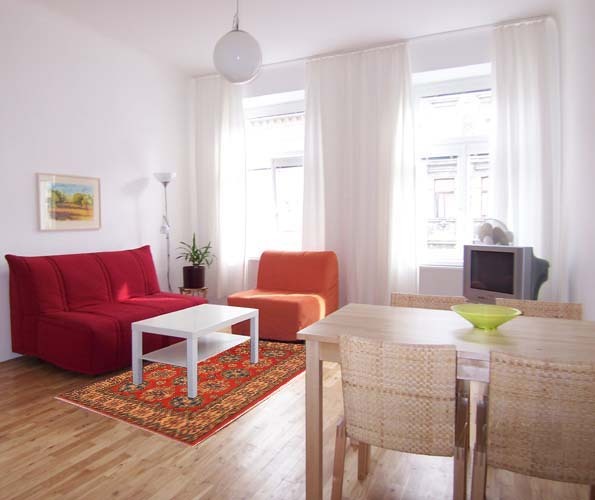 Q – If a room is rectangular – what shape and size of rugs should I put in? A rectangular room is versatile and lends itself well to a variety of rug shapes and sizes. When choosing a rug for a rectangular room, more important than the shape and size of the rug, you need to take into consideration the type of furniture that is in the room. 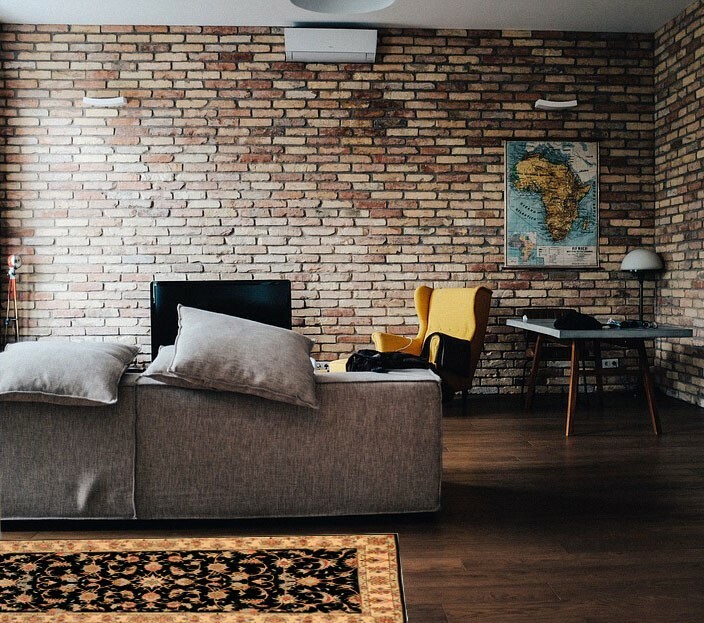 In the living room, if you are planning on placing all of the furniture on the rug, you should look for a rectangular rug that is large enough so that the sofa, chairs and coffee table all fit on the rug comfortably. You do not want the furniture to be partly-on-partly-off the rug. If you are planning on placing a smaller rug under the coffee table or a side table, ideally you should look for a rug that is the same shape as the table and just large enough so that the entire table fits on it. The rug you choose for your dining room should be in the same shape as your dining table and it must be large enough so that the chairs are fully on the rug even when they are pulled out. Q – What shape and size of rugs should go under a round table? While there are no hard and fast rules when decorating with rugs, as a general rule a round rug is a better choice as it complements the shape so there is a nice flow to the whole arrangement. The rug should be just large enough so that all the legs of the table fit comfortably on the rug. Q – Can you put a round rug under a rectangle table? Just as you would with a round table, it is best to use a rug as the same shape as the table. However, in some arrangements, a round rug would not look terribly out of place under a rectangle table. If you choose this arrangement though, you must make sure that the rug is large enough to accommodate all the table legs. 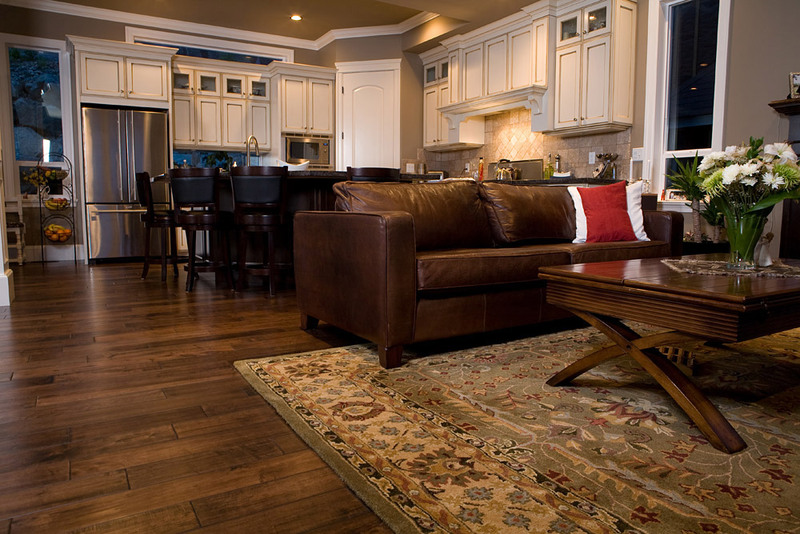 Q – Does the furniture go on or off the area rug? You can choose to place the furniture on or off the rug depending on the look you wish to achieve. The entire look of the room can be influenced by the placement you choose so give it some careful thought before you decide. You will need to buy a large sized rug if you want to place all the furniture on the rug. Measuring the size you need is important. If you want to place only some of the furniture on the rug, give some thought to which furniture will go on the rug and measure the size that would accommodate your selected furniture. If you do not want to place any furniture on the rug, then a small rug may be more appropriate so the furniture goes around the rug, not over it. The ideal size will depend on the size of your room and the size of your furniture. Q – What size gap do you need to leave between the rug and the skirting? A gap of about 12” to 18” between the rug and the skirting creates the best effect in a larger room. In a smaller room, you should consider leaving a slightly narrower border.